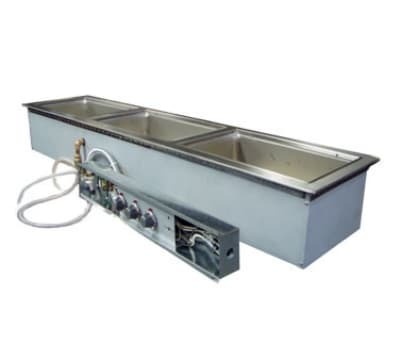 The MOD300TDMNAF food warmer is a narrow drop-in model with three wells, each of which holds a standard size pan or the fractional equivalents. This model has the AutoFill feature, which uses a water connection to ensure that the water in the warmer stays at the proper level. This warmer is able to be installed in non-metal counters due to it being fully insulated, which also improves its recovery time and energy efficiency.